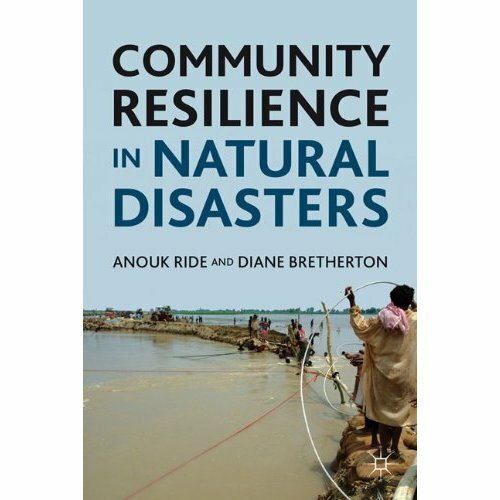 Community Resilience in Natural Disasters uncovers the voices of people in the eye of the storm, the swirl of tsunami waves, and the dust of the drought – people who have not only survived but joined community efforts to cope with and adapt to the crisis. These communities tell us how aid agencies, the media, and government support or weaken communities? 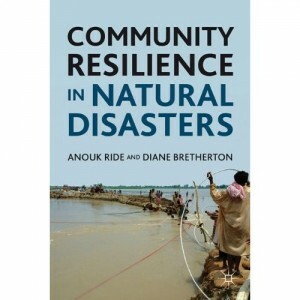 As natural disasters affect more and more people, the answer to this question provides vital knowledge – not just for relevant organisations but for all of us who one day may face disaster and need some help to help themselves. Two boys travel three continents to follow one monk’s dream, in this untold story from Australia’s colonial history. In 1848, the Spanish missionary Rosendo Salvado, founder of New Norcia Monastery in Western Australia, had an idea. He would prove that Aboriginal people could be educated and ‘civilised’, by taking two Nyungar boys to be schooled in Europe. And so it was that Conaci, aged seven, and Dirimera, aged ten, left their tribe to travel by sea to the racially-divided colony of South Africa, Ireland at the beginning of their nationalist uprising, the United Kingdom in the midst of its industrial revolution, France ravaged by civil war and finally entered a monastery in Naples. The Grand Experiment is a remarkable – and timely – book. It is a colourful detective story of research through libraries and archives across the world, and very much a beginning of the ‘stolen generations’ story. Buy the book: Currently sold out. Visit the Amazon page to purchase last remaining copies. IT was a simple sketch, shorn of biographical detail, yet it unsettled Anouk Ride for years. Who were the two unsmiling Aboriginal boys? Why were they dressed in sombre monks’ robes? And why was their picture — sketched in the mid-1800s — still on display 150 years later at the New Norcia monastery in Western Australia? It was 1996 when Ride first saw the image of the boys and for the next decade these questions pursued her halfway across the world as bit by bit she excavated the remarkable story behind the sketch. Her dogged search for answers has resulted in her first book, The Grand Experiment: Two Boys, Two Cultures. As Ride writes, the drawing “changed my life … I knew that this image had an untold significance for Australian history, and somehow for myself”. The boys’ story, by turns vivid and poignant, predates yet prefigures the tragedy of the stolen generations, so it seems fitting that The Grand Experiment is released next month, the 10th anniversary of the official stolen generations report, Bringing Them Home. While digging around in monasteries and libraries (some centuries old) in Australia, Spain and Italy, and at Oxford in England, Ride learned that the boys in the drawing were named Conaci and Dirimera, and that they were chosen by Spanish Catholic missionaries to become Australia’s first Benedictine monks. They were from the West Australian Yuet tribe, since thought to have become largely extinct through contact with Western diseases. In 1847, however, Conaci and Dirimera became the first indigenous students at the fledgling New Norcia mission, founded by charismatic Spanish monk Rosendo Salvado. About 130km north of Perth, New Norcia — later implicated in the stolen generations misadventure — still operates as a monastery and its cluster of handsome, Spanish-influenced buildings, hemmed in by wheat fields and eucalypts, has become a tourist attraction in WA. In 1849, Conaci and Dirimera became the first Aboriginal children to be taken to Europe. This trip, with Salvado — who spoke the Yuet language — as guardian and guide, was effectively a PR exercise to raise money for the Catholic Church. In Europe, the boys were treated like minor celebrities. They met the pope, PiusIX — then in hiding from Italian revolutionaries — and King Ferdinand II of the Two Sicilies. Within a couple of years Conaci and Dirimera went from roaming the bush and hunting their own food to dining with Italian nobility, studying Latin and Italian, and praying to a new God several times a day. This sounds doctrinaire, yet Ride’s portrayal of the Spanish monk is anything but and this is one of her book’s underpinning strengths. She succeeds in humanising all three of her protagonists (Salvado, Conaci and Dirimera). She also paints a delicately balanced picture of the role the monks played in the Yuet people’s lives, contrasting their progressivism with their paternalism; their compassion with their zeal. Ride has mixed feelings about Salvado, who went on to become the bishop of Darwin; she admires his good intentions towards indigenous people but it angered her that he continued “with his grand experiment even when it seemed that failure was inevitable”. One reads with a sense of quiet devastation how Salvado’s experiment foundered. In 1853, Conaci and Dirimera became ill while studying at the same Italian monastery where Salvado had trained years before. Conaci, a curious, clever boy who had won a medal in Italy for being an outstanding scholar, would never again see his family or the wide-skied landscape in which he had been born. In September 1853, he died from a vaguely diagnosed illness and was buried in a communal monks’ cemetery. He was 13. According to Ride, there are no records to indicate how and when Conaci’s family learned of their son’s death or how they reacted, although we do know his father died the same year. Ride has visited Conaci’s unmarked grave in Italy and reflects that “it was with a heavy feeling that I realised I could see the burial place that Conaci’s parents and siblings could not have imagined, let alone visited”. Dirimera became depressed after Conaci’s death and eventually returned to WA. He sought refuge in the bush rather than at the mission, but illness continued to plague him and in 1855 he too died, aged 17. Three more Aboriginal children were taken to Europe, Ride says, and all died of Western diseases before the Benedictines gave up their experiment of educating indigenous missionaries abroad. Even though she feels Salvado pushed his experiment too far, she says he “obviously had a great level of affection for the boys”. When she opened the monk’s diary, held in a monastery in Italy, she found it contained locks of hair that had belonged to Conaci and Dirimera. Ride hopes The Grand Experiment will deepen understanding of our contested past rather than sharpen existing divisions: “For me, part of reconciliation and part of acknowledging what’s happened recently with the stolen generations is acknowledging that complexity; acknowledging that if we’re really going to recognise what happened in our past, then we have to understand the mind-set of people who acted with good intent towards indigenous communities but still got it wrong.” Ride worked on The Grand Experiment on and off for 10 years. “I struggled for a long time to find the right way to tell the story. Initially I was going to write it as a novel. That was disastrous, so I threw it in the bin,” she says with a half-chuckle.